There are a number of reasons why adopted individuals desire to search for their birth parents. Of the more common ones are to obtain general family information such as names and locations, to uncover familial traits and personalities, to obtain medical information such as genetic conditions which may impact the seekers' health, and to understand the circumstances of the adoption. Recently, there has been an increasing trend for birth parents to search for their adult children given up for adoption years ago as well as by adoptive parents looking to get information about their adopted children. 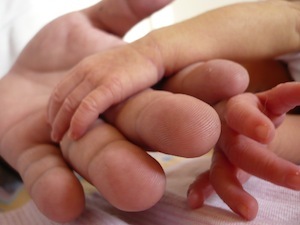 Information from the Child Welfare Information Gateway (www.childwelfare.gov) suggests that nearly half of all adoptive persons will search for their birth parents at some point during their lives. Using a private investigator is more costly than attempting a search by oneself; these investigators have the experience and resources to substantially reduce the amount of time and energy spent to find relevant information. Further, prior to hiring an investigator, it is recommended that the searcher takes the time to consider every possible outcome and to prepare for whatever may happen. Some private investigators will help an individual track down his or her birth parents and facilitate contact. However, out of respect for privacy, most investigators will ask for birth parents consent before giving out their contact information. In some cases, even a private investigator may not be able to obtain the desired results. In closed adoptions, the information is essentially sealed. Confidentiality surrounding adoption in the U.S. dates back to the early 1900s in order to protect all parties involved. More recently, the Adoption Information Act permits the sharing of information provided all parties waive their rights to confidentiality. Sometimes, filing a court petition may yield success in closed or otherwise difficult cases, but there may be legitimate reasons why an adoption was closed such as drug problems or abuse by the parents which could be detrimental to the searcher's well-being. Understanding that not every search will yield positive results and that sometimes information is best left hidden is crucial. When interviewing a potential investigator, it is important to ensure that the tools to which the investigator has access are of a higher caliber than simple Internet search engines available to the general public. A specialized investigator utilizes law-enforcement-grade databases and search engines to increase the potential for success. Also, because of the typical high cost involved, it would be a good idea to ask the investigator about his case history and success rate. Finally, having as much information as possible prior to hiring an investigator can increase chances of success. To learn more about hiring a private investigator, read our article on questions to ask a private investigator before hiring him or her. To find a private investigator to assist with the search, PInow.com has a nationwide network of local private investigators who specialize in adoption-based searches as well as a number of relevant articles and resources.